UPDATED: Mon., Feb. 11, 2019, 9:09 p.m.
WASHINGTON – Key lawmakers announced a tentative deal late Monday that would avert another government shutdown at the end of the week while denying President Donald Trump much of the money he’s sought to build new walls along the U.S.-Mexico border. 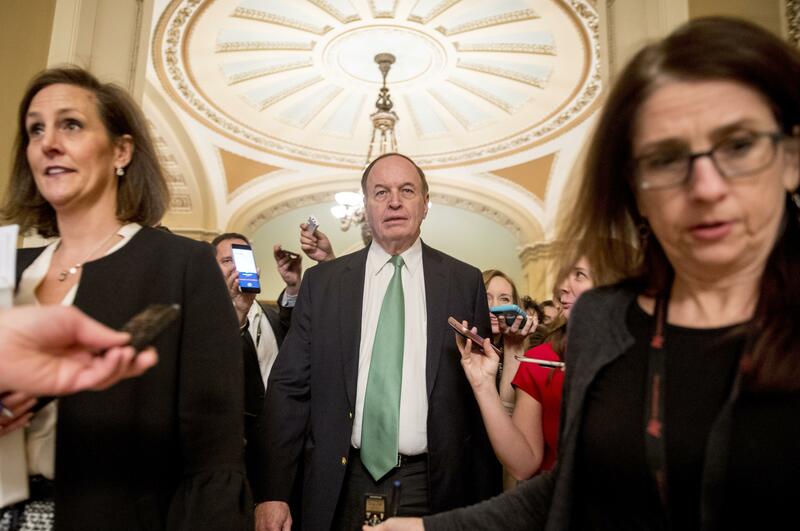 “What brought us back together I thought, tonight, was we didn’t want that to happen,” said Senate Appropriations Chairman Richard Shelby, R-Ala., the lead Republican in the talks. The deal includes $1.375 billion for 55 miles of fences along the border, compared with $5.7 billion Trump had sought for more than 200 miles of walls. The deal omits a strict new cap Democrats had sought on immigrants detained within the United States – as opposed to at the border. At the same time, it reduces an overall cap on detention beds maintained by the U.S. Immigration and Customs Enforcement agency, although GOP aides said ICE would have enough money and flexibility to maintain its current detention levels and add more when needed. The president has readied a plan to declare a national emergency on the southern border, which he believes will allow him to redirect taxpayer money from other projects to build parts of a wall – without approval from Congress. Democrats are all but certain to mount a legal challenge to this approach. At a rally in El Paso, Texas, on Monday night, Trump told a crowd of supporters that he was briefed on the conference committee’s progress as he was walking onstage. “Just so you know – we’re building the wall anyway,” Trump declared to the audience. And Trump defended the record-long 35-day government shutdown that ended late last month – even though he did not achieve the new wall money he’d been demanding. The reaction from his conservative allies left the ultimate outcome in doubt, but negotiators said that with the president’s assent, there would be time for the legislation to pass the House and Senate and be signed ahead of the deadline, when large portions of the government, including the Homeland Security Department, would run out of funding and begin to shut down. House Appropriations Committee Chairman Nita Lowey, D-N.Y., who was in Monday’s meetings, said she hoped the negotiators would have a finished product by Wednesday. She said she ran the proposal by House Speaker Nancy Pelosi, D-Calif., and she signed off on it. Published: Feb. 11, 2019, 5:46 p.m. Updated: Feb. 11, 2019, 9:09 p.m.